What will it take this year to turn heads in the automotive industry? This is a question that custom vehicle creators ponder every year before settling on the design that they finally choose for their project. This 2003 Dodge Ram 1500 is one of a kind but may not be for long. 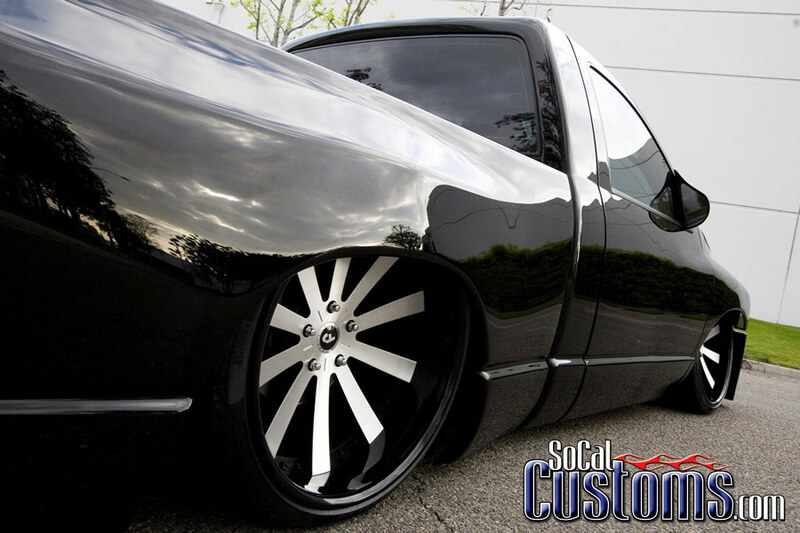 Edgar Lopez from Palmdale, California spent a great deal of time and his hard earned money to build a truck that turns heads. Love it or hate it, the truck is very unique. It's wide body stance and subtle modifications are something that is worth seeing in person. It takes a bold person to build a truck like this. Edgar took boldness to a whole new level when he decided to take his Dodge to the 2008 SEMA show. The only problem was, he did not have any sponsors for the truck so there was no spot for him. He took the truck out to Las Vegas and just by having it there was able to get a spot through a company from Australia called Surf City Garage that specializes in automotive detailing products. His trip to Nevada paid off and the truck was parked outside the main convention hall the whole week. Edgar's company, Lopez Inc. built this truck completely from start to finish. The standard cab truck was laid out using air bags at all four corners. They are filled using an Oasis engine-driven compressor and 1/2-inch air lines. 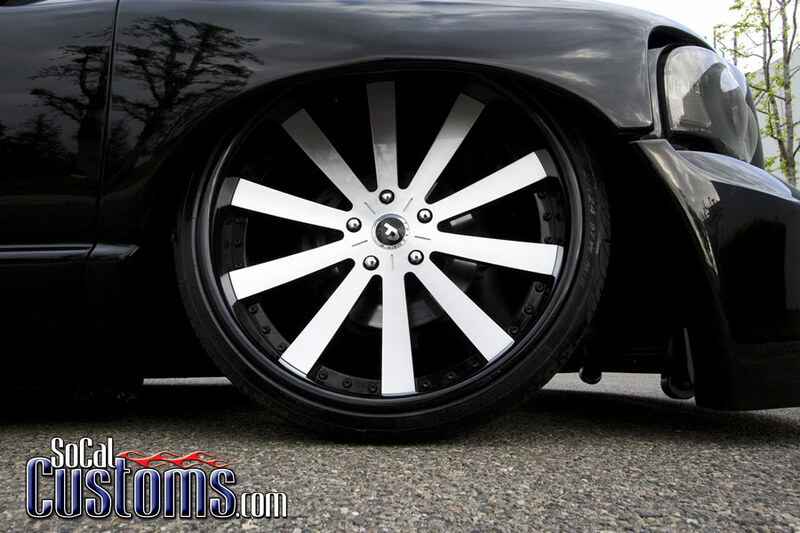 The truck also received a 4-inch body drop to lay the Ram down over the frame and the 24x9.5 in front and 24x12-inch Forgiato Cancavo Wheels in the rear. 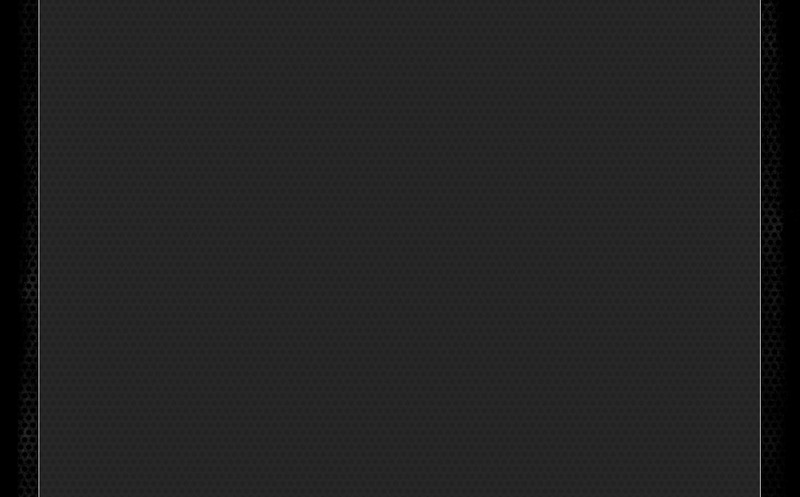 The tires are Pirelli 235/30 in front and 285/30 in the rear. The exterior of this Dodge looks like no other in existence. The body was widened completely with metal 3.5-inches at the front fenders with scoops flowing from the bumper. 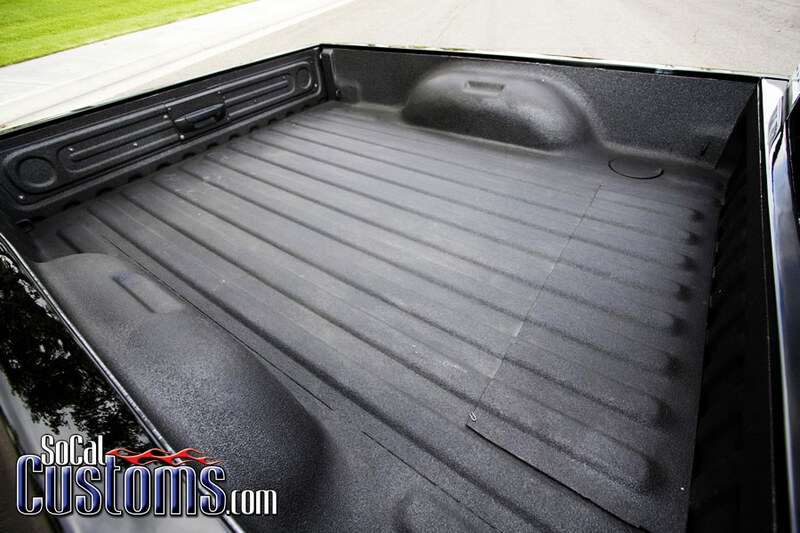 The rear was widened 4.5-inches to give the bed a whole new look. The doors were also extended to match the front fender lines. The wiper cowl was custom built to match the hood line and the mirrors were hand built. Along with the major body modifications, everything that was extra on the exterior was shaved. The roll pan was installed and includes a 54-inch Hitech LED at roll pan. 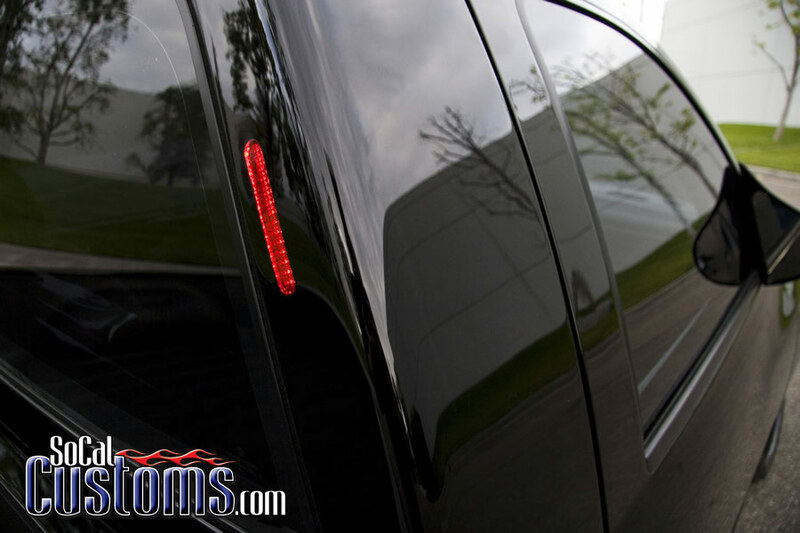 In addition, dual 4-inch Hitech LED side markers were molded behind the cab rear pillars. The truck was then sprayed back to the factory black paint. Inside, the paint was bountiful on every piece that could be sanded, modified, or removed. Of course the paint wasn't the first step. 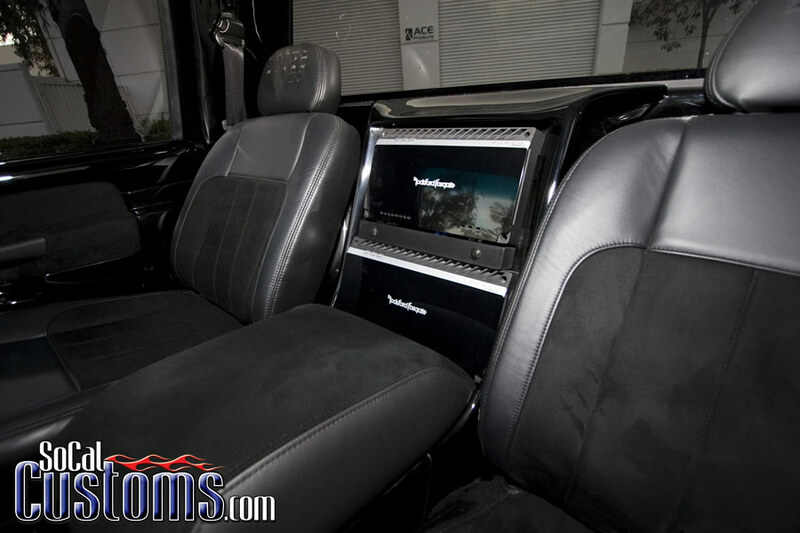 A custom center console was built to house a JVC touch screen head unit, factory air conditioning controls, as well as dual air gauges, two switches, and custom floor shifter. The console also received 6.5-inch speakers on each side. The door panels are home to 6.5-inch Rockford Fosgate and are also covered in smooth black paint. The seats were reshaped and covered in black leather and suede with a Lopez Inc. logo on each seat. The consoles armrest flows towards the rear into the Rockford Fosgate Amplifier housing and two 12-inch subwoofers reside behind the seats. Another interesting modification to Edgars ride is an intercooler that is visible in the front bumper opening. The truck has a 5.7 liter Hemi motor with a Vortech Supercharger, custom ECU, headers, exhaust, and even methanol integrated where the windshield wiper bottle used to reside.